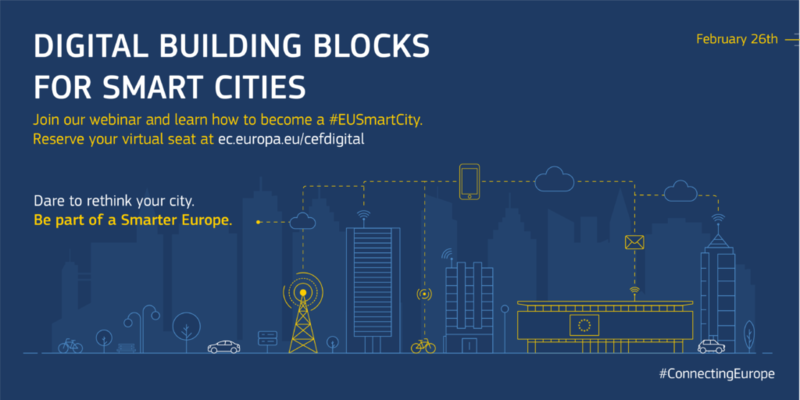 Register now for the webinar ‘Digital Building Blocks for Smart Cities’ to learn more about the digital building blocks of the Connecting Europe Facility (CEF) programme. The webinar takes place on 26 February 2019, 10:00 to 11:30 (CET). Register here. Learn more about these services in the “Digital Building Blocks for Smart Cities”webinar taking place on the 26 February, 10:00 – 11:30 (CET). Register now.